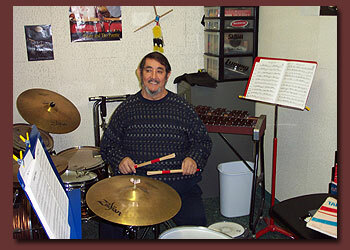 Studies in Music, Percussion Performance at New Mexico State University. Percussion coach for middle school bands for Albuquerque Public Schools (Desert Ridge MS, Grant MS, Jackson MS, Madison MS) One of Albuquerque's busiest drummers, performing with Tuxedo Junction, concert groups, and combos. Currently an instructor at Hummingbird Music Camp. Percussion judge for solo and ensemble festivals. Private instructor for over 25 years.